New Orleans exudes history, which can be found around almost every corner. A visit to the French Quarter opens up a new realm of ages old buildings filled with unexpected treasures. 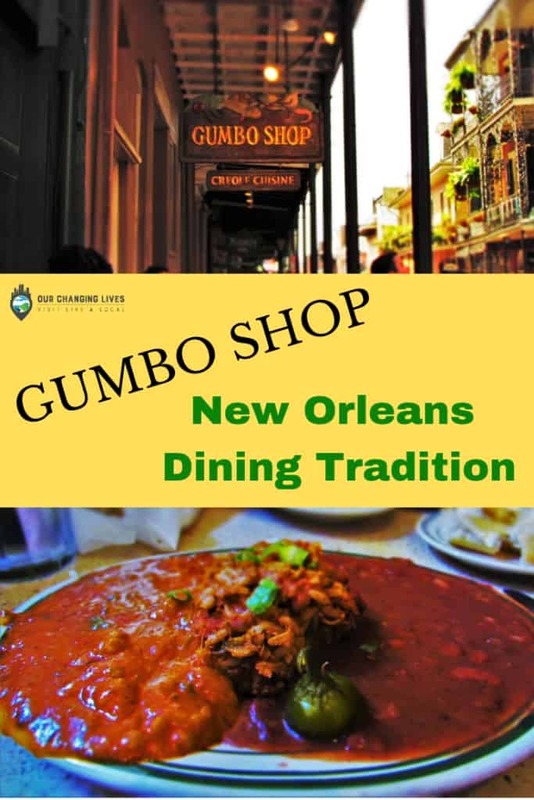 The Gumbo Shop is one of those locations that has stories to tell, if you just take the time to listen. 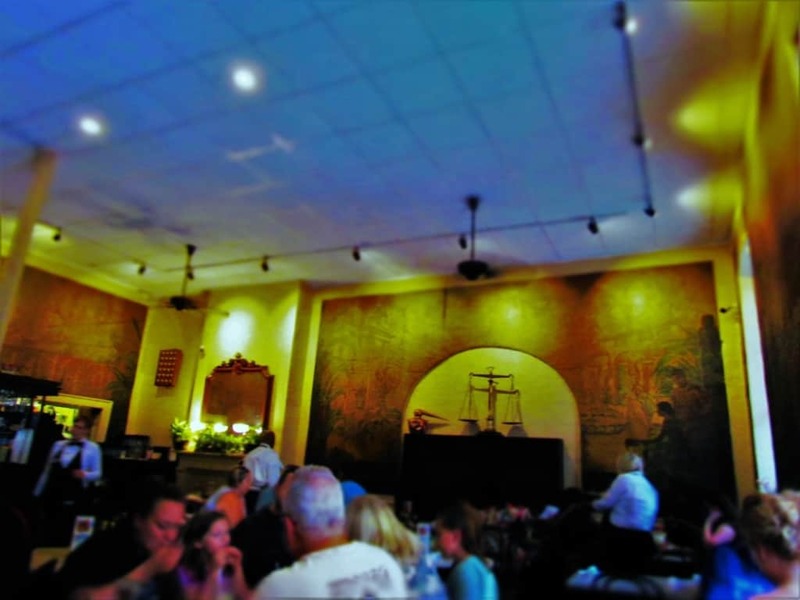 With a menu full of Creole dishes, you are sure to have a true Louisiana experience. While their name is an obvious clue, they also offer jambalaya, red beans with rice, etouffee, and po’boys. The French Quarter is the oldest section of New Orleans. The building housing Gumbo Shop is one of the oldest in the area. Built after the big fire of 1794, the structure has served many purposes. (Learn more New Orleans history here.) It wasn’t until 1920, that it finally became home of its current resident. Since that time, it has had three owners. The original family operated it until 1960’s, bringing their Italian family influence to bear on the menu. The current owners took over in 2008, and have strived to maintain the tradition of serving Creole cuisine to customers from far and wide. We knew that this place can get very busy, but weren’t going to pass up a visit. Our compromise was a stop between lunch and dinner times. Even with the odd timing, Gumbo Shop was still seeing steady business. It’s hard to pick just one dish to represent an entire cultural cuisine. We decided it would be a shame to limit our choice, so we chose to share a Creole Combination Platter. This oversized dinner has plenty of flavors to offer up. Our plate gave us a chance to taste a pleasing Shrimp Creole. This dish differs from etouffee by using a thinner sauce, which had a nice bit of heat. The other end of the platter was awash with a hearty helping of Red Beans & Rice. 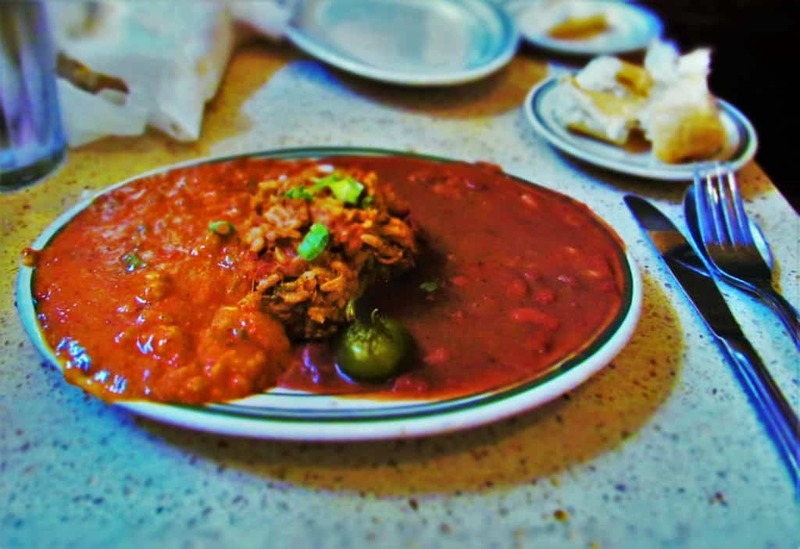 This New Orleans staple contains kidney beans cooked with spices and the trio of onion, celery, and bell peppers. In the middle of our dish, was a pile of the house made Jambalaya. Shrimp, chicken, and smoked sausage are combined with a spiced rice to create a savory treat. New Orleans is filled with so many great restaurants that it’s hard to imagine ever sampling even a quarter of them. 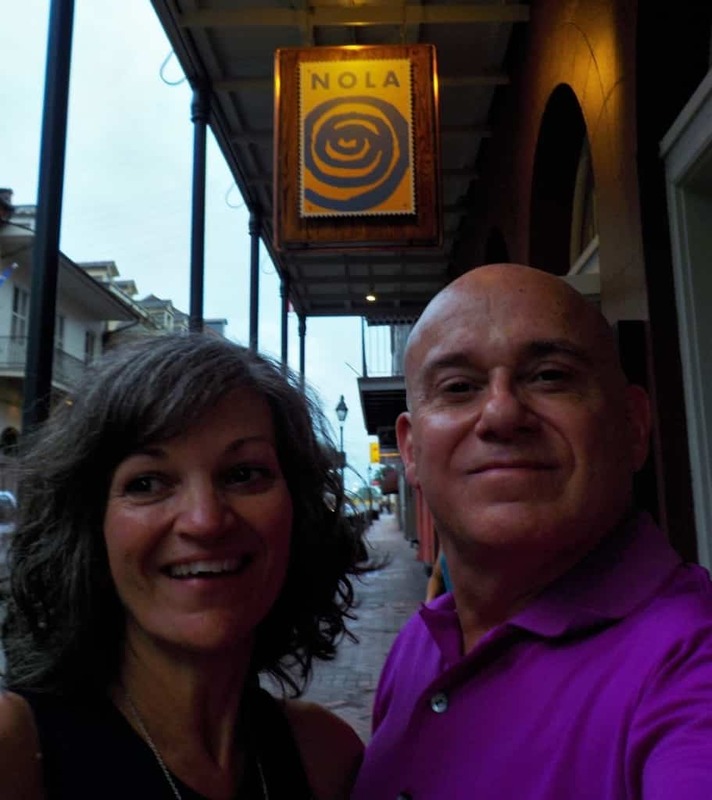 When you visit The Big Easy, you’ll certainly want to savor as many of the diverse cuisines that can be found there. 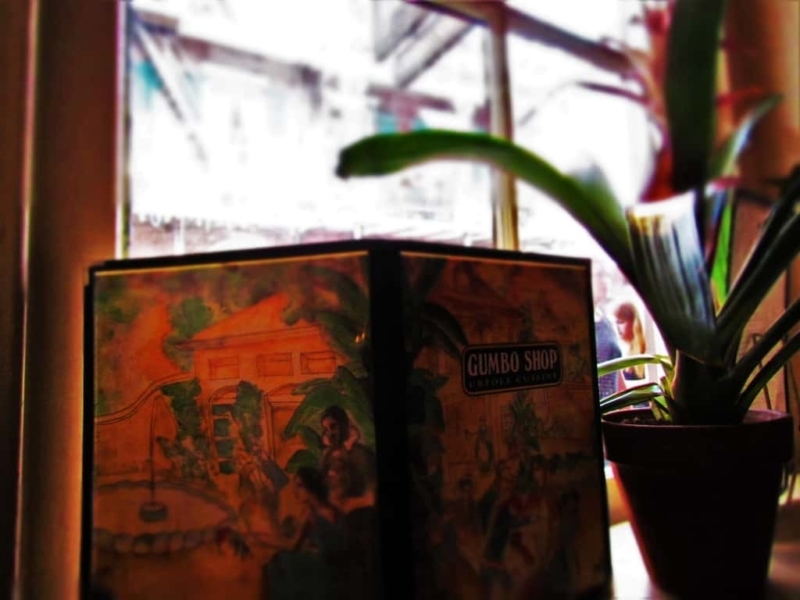 Places like Gumbo Shop are part of an experience that can only be found in the Crescent City. During our two visits, we made sure not to repeat any stops, as we wanted to get as much variety, as possible. Be sure to check back to see some of the other NOLA classics that we will be sharing. In the meantime, “Let the Good Times Roll”. Share this with a foodie!